Best friend sister poems highlight the special relationship close sisters share. Add a meaningful poem to your sister's birthday card or send one in an email to let her know just how much she means to you. Some sister poems can be found as gift products like plaques and mugs. No matter how you do it, if you appreciate your sister, take the time to share one of these touching and special poems with her. The poem, To My Sister describes the shared experiences of sisters that often lead them to becoming friends. From the happy times they spend playing together as kids to the difficulties they support each other through as adults, sisters are friends forever. The poem, My Sister is short but holds a very sweet sentiment. It praises the sister for being accepting and always there. It concludes that being together has the feeling of being home. Sisters Heart to Heart is a touching poem about the deep love between sisters. Comparing a sister to an angel and a cheerleader, it shows how the best sisters can always lift you up. The poem, To My Sister is one of the best friend sister poems. This Wordsworth poem eloquently conveys the never-ending bond with a sister. In the midst of poetic descriptions of spring emerges the pleasure siblings can take from enjoying the new season together. 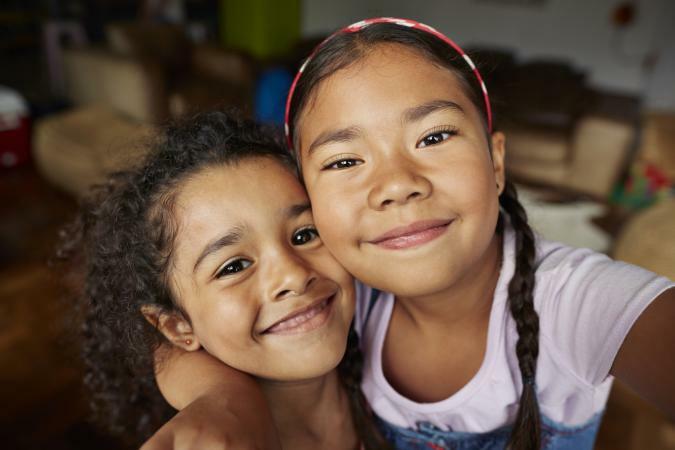 Like many of the best friend sister poems, Sisters takes a religious point-of-view of the bond between siblings including the popular sentiment, "God made us sisters, Our hearts made us friends." The poem expresses the support sisters can draw from each other through life's difficult times. My Sister, My Friend is a great poem for anyone who wishes to express gratitude for a sister. The poem describes a sister standing strong by her sibling's side and never wavering in her support. My Special Sister is a tribute to a sister who has endured great pain in her life. The sister in this poem has suffered in grace and never allowed her family to become involved in her pain but lifted them with her positive attitude. A Poem for My Sister expresses the longing for a sister who is far away and her sibling's anticipation of her return home. The closeness they share transcends the distance, and the sister is reminded how important she is to her family.